Tawakkul refers to putting your trust in Allah – to believe that He alone can ward off the harms of this world, provide you blessings and sustenance, and to ease your challenges. Tawakkul is also about accepting the results that He decides regardless of how they may turn out to be. To understand the concept of Tawakkul, consider how tense and worried you get at times about the challenges of this worldly life. Whether it’s you worrying about losing your job or sustenance, or general life problems that you may come to face, Tawakkul is your belief and the attitude that you have about putting your trust in Allah to take care of all your affairs. Tawakkul shouldn’t be mistaken with giving up your efforts thinking that somehow your challenges will get resolved. Rather striving and working with the attitude that Allah will take care of your affairs and will help you in getting through your trials is part of you having the Tawakkul on Allah. This obviously applies to not just seeking provisions but in striving to resolve other matters of our lives – just as long we remember and believe that His will is a prerequisite for our matters to get resolved and to accept what He ultimately decrees. Let’s strive to understand the concept of Tawakkul and to make it part of our belief systems. We will notice that things will not only get resolved easier with His help, but Tawakkul will also relieve us from the day to day anxieties and worries associated with the challenges of this life. Thanks a lot… very nice article… I was in need exactly to read this!!!! Masha Allah, very nice article. Article which the time necessitates. Thanks for the beautiful writeup. May Allah bless you. This can surely be achieved through patience. May Allah assist us all. I’m applying for externships and it put me under much stress. It’s amazing how Allah sends His help. Thank you. This is beautiful, it the while essence of our being.Tawakkul is the essence of our Eeman. This is beautiful, it the whole essence of our being.Tawakkul is the essence of our Eeman. Wonderful Quraanic verses and article also….. Thank you for this. It seems as Allah (swt) talks to me when I need it most. Myself and also my family is probably going through one of the toughest times we have ever faced in our life and in my prayers I told Allah (swt) that I am going to put everything into his hands and let him handle it for me and stop questioning and worrying….well Alhumdulillah! Just then, I get this email. So as I said, it seems like Allah (swt) just responded to me…letting me know I did exactly what I was supposed to!! Allah ho Akbar. Very Much Needed Article,,,for the guidance of true path…. Walhumdu Lillaah, This Dua’ah certainly comes as a sigh of relief. Tawakkul is something all Muslims should have in their hearts, minds and in their belief, no matter what their situation may be, good or bad, sometimes, things really get on top of us and lead us to forget how important Twakkul is. 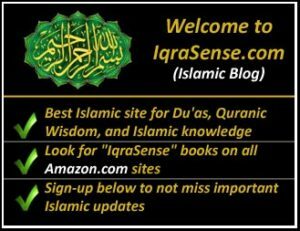 So Jazak Allaah Khairun for this and for all the articles Iqrasense sends out to us all. I do beleive that Tawakkul is the prime factor of Imaan and reading this article my faith on Twakkul has become more harder.JajakaAllah. May Allah bless you all so nice article!! Alhamdulillah, a nice article which is to be borne in mind by each and every muslim to have faith in Allah`s Grace and His power to solve problems to the extent an individual needs .He only graciously knows the limit. This is what I believe is the essence of our faith. And, whoever hold on to that will be better for it (both in this worldly matters and in hereafter in Aakhira). As for myself, I have recently lost a dear sister of mine to a prolong illness, and, it was really difficult time for me and the family (especially to our beloved aged mother) and, this article remind me what Allah wills shall always come to pass, indeed. Assalamou alikum, mashallah, may Allah guide us to the right path and make us among his good believers and doers of good. Allhamdolliallah for the blessing of Islam wassaletou wassalam alla Rassoul Allah Mohamed. Thanks for giving clarification to the actual meaning of ‘Tawakul”It will really benefit the people and remove all misconceptions about it. May Allah have mercy on you and your family at this difficult time. Ameen. “Verily, from Allah we come and to Him is our eventual return” and “Verily, after difficulty is ease”. a wonderful article, I thanks to Allah that I read this. JazaaakALlah. A very reminding article. I had some questions troubling me and Alhamdulillah I have got answers to all of them now :)… May Allah iincrease our Imaan and draw us more and more closer to HIM. Ameen. And Sister Sabina, all my prayers are with you. Have faith. There’s something definitely good going to happen and you and your family shall be rewarded for all the hardships you are facing only if you bear with patience. Insha’Allah. May this difficult time pass over soon and May eternal happiness surround you and your family. Ameen. I think Tawakkul is the basic factor for Iman. Thanks for educating us. Allah bless us all. Allah Hafiz. Masha Allah….very nice article. May Allah richly bless u for sharing with us. Jazak Allah Khair, beautiful post =] may Allah (SWT) bless everyone InshAllah. Mashaallah,very beautiful may Allah bless you I have gain a lot from this article ever since I turned to ALLAH(SWT) my life has changed. Alhamdulillah,very good article.All muslims need to make dua to allah to ask him to increase their faith in him in order to ponder and apply the true meaning of “Tawakkul”. Al-HamduiiLLAH for the belssings of Islam. A nice article. 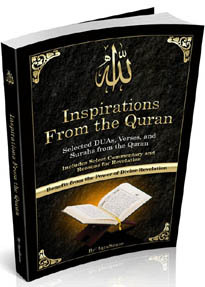 May Allah bless all those behind it, our brothers and sisters who read it and the Ummat of Muhammad (S.A.W.). Tawakkul is a much needed component of our faith, epecially these days, when you look around and see the trendous suffering of our brethren around the globe. It is then we need to realize that Allah controls everything and can change any situation anytime according to His plans. We need to fullfil our duties as espoused in our our sacred book, the Qur’an and on the way shown by rasuluLLAH, the final messenger, Muhammad (Peace be on HIM). Assallamu Aleikum…Glory be to Allah and a thousand thanks to you all for this good work…”tawakul”. It’s like a portion of an islamic crusade in this world of today as there is a tendency of people going astray, all because of worldly gains. We all need it to give us a second thought. May the blessings of Allah be upon us. Assalam Alaikum, As soon as I read the article it gave me an immense satisfaction. Today the wholeday I ws disturbed and I was thinking that no one understands my action ( something I was thinking of), so how I’ll carry the things without anyone’s support. Though I knew all the things discussed in the article, but still I was disturbed. Sometimes reminding of such type of things are very useful for everyone as I’m seeing that most of the commenters tell that they needed this exactly at that moment. Nice effort. I make dua to Allah that He should give me and everyone who is attached with this article the true faith and tawakkul in ALLAH (SWT). Alhamdulilah as if you knew I needed this! Assalam Alaikum. Alhamdulillah for this wonderful article. I was needing those wisdom words in the moment that I received them.May the blessings of Allah be upon us. Ameen. MashAllah a comprehensive article on a very important topic. All of us especially the muslim youth needs to understand and practice in tawakul from an early age. This would enable them to be in command of true tawakul Allah in the challenges faced in life later on. Parents can help by highlighting this aspect of Tawakul to school going children as well. a very nice article indeed. and as sister Z has mentioned, we too are going thru a tough time and aazmaaish from Allah swt. but deep down in ouir hearts, and as sister mutarba khan has pointed out, we know for sure, inshallah, things will be taken care of by Allah swt and something too good will result from all these aazmaaish. one more thing that we have realized is that all these aazmaaish has brought us much closer to Allah, as is my daily dua to Him. i request all of you to remember us all in your dua. may Allah swt. rid the problems with His aafiyat and khair-o-barakaat for sister Z and us too. aameen. bismillah. alhamdulillah. anything we do, if we do it with faith in heart, conscience and aware that we do it in the bases of halal, seeking the pleasure of Allah, we will feel as if we acomplished something already, wheather we achieve our objective or not. This will help us not despair and be happy with any outcome Allah has decreed for us, knowing we are on the right path because our hearts are with Allah. May Allah strenghten the faith of all who seek knowledge. Excellent article with knowledge, we should leave our problems and whole life on Allah,and HE will solve our problems. more such articles which will increase our faith and TAWAKKUL. Asalamu Aleykum Dear brothers and sisters all over the world. Manshallah Tawakul is a topic that we have neglect in most of the time in our life.JazaKAllah khey for the reminder. May Allah swt ease the hardship of every muslim in this world. The comments were touching and Alhamdulilah I learned alot from each one of you. My dua’s are with you all and please lets keep in mind to make dua for all our dear brothers and sisters who are suffering and those in war. Very difficult but basic concept . to benefit fully from it. Very timely… Brother’s and Sister’s in Islam, be reminded and comforted in knowing that, Allah puts those He loves into difficulties to test us in our faith. Remain strong and steadfast, continue to strive, and trust Allah, surely He is sufficient for all of our needs, truly the best disposer of affairs, and after difficulty does indeed come ease…. Subhannallah! SubhanaAllah! this is an excellent article; just what I needed..JazakaAllah! subhanallah! jazakallahum kayran for this. Maasha Allah. you are doing nice job, please keep it up. Good Article. This is easy to say …but difficult to do….I am surrounded by people ,who pray, show that they have Faith in Allah`s Will.But at the first signs of trouble…and Worry..they start looking for PEOPLE who will relieve them of that problem.They forget very easily that no person can give them Anything which is already not decreed by Allah…not one grain…without His Will…I pray and wish that all of us read this article and try it out in true spirit…it will be a Difficult test…..as none were spared for it…not even the Prophet (PBUM)…..and i hope we all come through shining….with Tawakkul. It is worth reading this article. Hope all of us remember the concept of Twakkul and follow it in our lives. Interesting article as usual. Jazakoum Allah kheer! 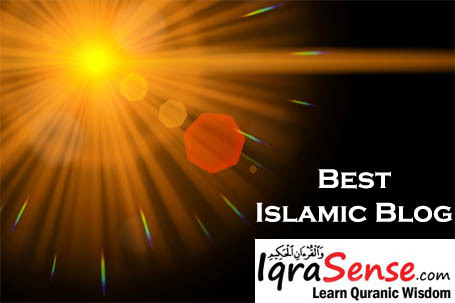 Assalamu Alaikum, Shukran Iqrasense. It’s good Article Masha-Allah. It’s something that we need all muslims. Anxieties and worried are shaitans work. But Alhamdulilah we are Muslims. May Allah strength the imaan for whole Muslims…Ameen. Assalam u Alaikum. SubhaanAllah, u did a great job by informing the people about the true meaning of Tawwakul through this article. 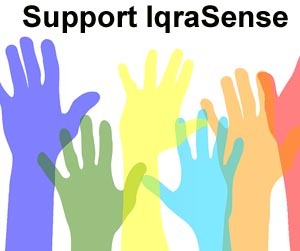 God bless u iqrasense. Wassalamu Alaikum. Beautiful article. Thanks, keep it up. Aamen for all the Dua’s! MashAllah! A Very Good Article, states that Trust Allah, for his own ways are truely the Best for his Slaves! Alhamdulilah! Being a Roman Catholic, I speak to G-d every day. I thank him for all things, I trust in him as a child trusts his father. When I have stress or worry, I trust in G-d to do his will. I always feel better. I also pray that Christians, Muslims and Jews will some day get along together. mashallah! !..its a very gud article…..
Alhamdollilah nice and inspiring article.It is a reminder that we should rely on our Creator. Salam,how wonderful TAWAKKUL arrived when it was needed most.That was an excellent reminder.Mashaallah! Alhamdu lilah, may god bless you for this article. I think the problem with a lot of muslims today, is that they beleive in God, but they don’t have faith in God, we have more faith in people than God and thus when something happens, we tend to seek help from people instead of Allah (SWTA), that’s why our problems never seems to get solved. put your trust in Allah na he will always fine a way out for you. may Allah increase our faith Amen. Subhanallah, it is a wonderful article, much related to the modern day world, where materialism dictates everythinh. But, as muslim, we should be free of such worries and thoughts. Helpful article, do your best and accept the result. Results relate to future and ONLY Allah knows about the future. Thank you for the inspirational enlightenment on this obligation..
Ibn Abi Dunya (r) said:”It has reached me that one of the wise people said, ‘Reliance has three degrees, first: giving up complaining; second: contentment; third: love. Giving up complainingis the degree of steadfastness. Contentment is tranquility of the heart towards that which is decreed for one, and that is higher than the former. Loveis that one’s loveis for that which ALLAH (swt) does with one. The first is the degree of those who do without (zaahiduun). The second is that of the truthful (saadiquun). The third is that of the messengers. Aamiin! Jazak Allah Khair. 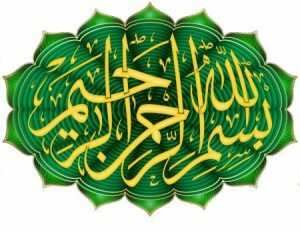 Wonderful analysis of Tawakkul. I really enjoyed reading this comment. if we trust ALLAH and leave everything to HIM ,then u neednot worry since no worries will trouble u .
Jazakallah all human beings in this world should only believe and trust in Allah alone. reward the contributor, and may He keep us steadfast in our faith always, amin. Asalaamwa alaikum, Jazakallahu for this much needed info. Sometimes all our Iman goes up and down, however I Don’t need the worries of life beating me up…. Assalam alaykum warahmatullah.Jazakum Lah khayran to the writer for the article.It is a reminder that if all Muslims have complete trust in Allah there wouldn’t be high incidence of health related problem like Hypertensionand cardiarc arrest to mention but a few. May ALLAH bless you with all the pleasent things on earth ,for ,the good job you have done Mashallah keep it up. May Allah bless you with his bounties and grant you all your wishes for this life changig articles. Jazakumullah. Masha Allahu barakallahu fih! Indeed u have delivered the truth. Jaza kallahu khair! I wish we all have full tawwakal and harvest it in our true life ,the hereafter. Jazakum Lah khayran to the writer for the article. As salam u alikum..Wonderful sharing and information. All muslims should put their belief in ALLAH call Him with His beautiful names He listens to all humans. True prayers are always answered by Allah. May Allah guide us to the right path and solve all our problems. May Allah forgive us all for our sins. Dear All, please pray for me that Allah solve all my problems too. 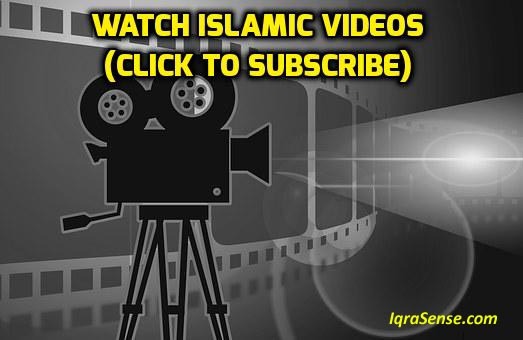 It is in continuation of your efforts to present the true Islamic knowledge to the ummah. Jazkallah u khair. Alhamdulillah, I am really impressed about your article, keeping “Tawakkul”, To be honest, I have plenty of personal experience in this subject. Allah is Merciful. May Allah subhana reward you for writing and exposing these kind of important topics, since we understand in todays world the Muslims are suffering in depression, anxiety, suspicious, jealousy,etc due to lack of knowledge and not maintiaing the “Tawakkul”. Jazakallahu Khairaan. Alhamdulillah.Really very important for the peace of mind.Keep up. May Allah in His Infinite Mercy reward you abundantly.It is a good reminder. Thanks for this timely info,much relieved now and my faith in Allah has become stronger. The only solution to overcome living problems is TAWAKKUL and that can be achieved by total submission to Allah Taala. The more you are materialistic the more you will be trapped in anxiety & dunyavi worries. There couldn’t be better timings to come across this article! Masha Allah, may we be Muslims forever and may we not be just Muslims but Muslims with imaan. 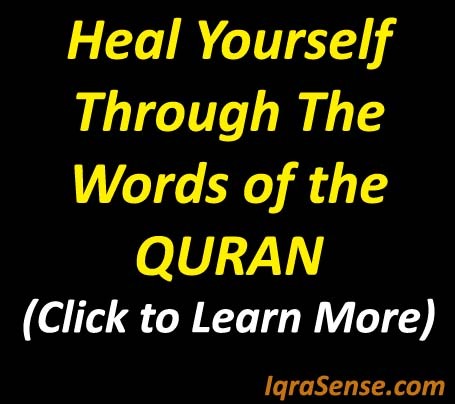 I have to say the lessons that IqraSense sends out are some of the most beneficial and educational ones I’ve come across. Thank-you to all. Thank you very very very much for telling me this. 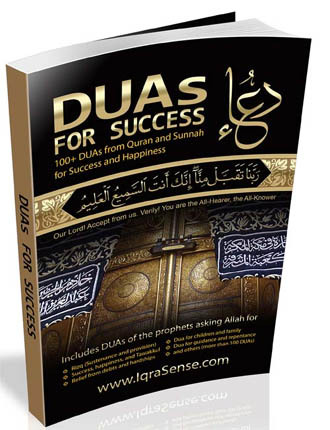 Mashallah This is very very very good and this will help me a lot. Splendid. The article is extremely useful. May ALLAH give more power and sense to all of you to write such article and all of us to follow also. may Allah bless you the work your doing! great article. it has really lifted me up. Mashallah! Very nice article published at the most opportune time. May all Muslims practice Tawakkul! This article has helped me to worry less about wanting to look good in the eyes of others (even parents sometimes! ), but it has bring in the notion that we can only appeal to Allah and work hard in our lives because where our soul sits in us is with Allah alone and only Allah is the one who truly provides for us in all aspects of life! 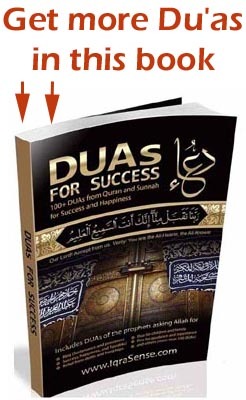 Allhumdillah i need this, Allhumdillah thank you for showing me this information helps me understand a lot. in facts! Our lives are indeed in the hand of Allah alone He controls it as it has been destined, May He pass us when we might have been tested by him. Ho Allah you are the One that control the hearth of people, direct our hearth to the right path with perfect tawakkul amin. mashallah very good article my heart felt so good when i read this may allah give all muslims a good life..
Masha Allah … May ALLAH (swt) bless us all and help us in taking right decisions in life..ameen. MashAllah, May Allah give best reward in both the worlds. Very helpful just we have to implement it. May Allah make the task ease for every muslim & make us put complete trust upon Allah Alone. salam, everyday i worry all the time of my children and family. I was just saying this to my mom that I worry all the time. She told me to me to worship all mighty allah, and put my trust toward Allah. I went to my room and got this e-mail. Thank you allah for helping me always. Thanks a lot for outstanding article. I am depressed but after reading this article I came to myself. Honestly this is very true all that you have stated. I myself have gone through such experiences and seen stress levels drop amazingly by only Allah’s help even though the problems lingered but the anxiety was much less and so was the worry of what is going to come next. So I would say while striving put your faith in Allah. All Praise is for ALLAH SWT and Peace and Blessing of ALLAH SWT ON our Beloved Prophet Muhammed SAW. Excellent Article. Masha ALLAH. The Ummah should try this Tawakkul. Believe it or not it WORKS. ALLAH SWT Loves his creation AS LONG AS YOU LOVE ALLAH SWT. How can a woman have patience whose husband is having an affair and is also planning to get married to her. The husbands parents also are involved in all this. How to have tawwakkul at this time. Betrayed by husband. Plz help. Ya Allah guide me plz. Masha’allah, it really helped! knowing that ALLAH (swt) is always there (by His knowledge). Very nice article, more please!!!!!!!!!! salam, .jazakallahu kyran, this message came to me at the time i needed it most.it gave me more courage and the knowledge that i have tawakkaul in my actions is great to know.may Allah give us more tawakkul. Allah Akbar, This is great for me because i have been under hard ship for many years but now that i know about Tawakkul i leav everything in God’s hand . masha lam. mashaallah… very true… may Allah make us all among mumin…. Alhamdulillah, really nice article, keeping “Tawakkul”, To be honest, I myself have gone through such personal experiences and seen only Allah’s help in this subject. Allah is Merciful. May Allah reward you for exposing such kind of important topics. jazakalallah..n Masha’allah, it really helped! knowing that ALLAH (swt) is always there with all of us…….inshaallah MAY ALLAH GIVE US MORE TAWAKKUL…..N SHOW US STRAIGHT PATH…..awsme article….thn u sooo much…..
SUBHANALLAH. I really appreciate your effort. Tawakal is the basic thing in Islam. Thank you for the lesson and encouragement. May Allah enable us to trust fully in Him. MaashAllah. I’ve been in a state of worry these days and reading this article brought a lot of relief. Thank you! Alhamdulillah, I’m glad that I came across this article – The important thing to know is that tomorrow is from the world of the unseen, Tawakkul means leaving everything on Allah SWT. understand the it’s concept of Tawakkul it so easy but in reality acting upon it actions its the hardest thing to do! May Allah reward you for this sadakatul Jariya. Thanks and may Allah bless you. I have learnt a lot from this. I have just lost my younger brother which is a great loss to us. We do pray to God to relieve us from this distress, depression and worries. We know God is in control. Truly inspiring. Alhamdulillah. I gained a much better understanding from this article. Had I had this knowledge or had this insight a few years back, I would’ve saved myself a lot of misery and sadness. Thank you. Maashaa Allah, we always need these reminders. Jazaakallah. With a firm Tawakkul no muslim will be scared of anything- be it enemy, mishaps or death. May Allah improve our imaan, make it perfect and keep it alive till the end. AAMEEN! i found the article quite soothing, as me and my husband are being blackmailed by a widow to whoom we have been supporting for five years. Now she is claiming herself to be his wife by presenting editted photos and by the id card which she had made with our knowledge.since we are living abroad ,so cant do much but still some of our close freinds are working hard to bring the case to the court. But every time we start some legal action it comes up with some new demand.this made us very depressed.so me and my husband have come to the point ehat though our intentions were pure we were supporting the lady and her daughter with the zakat money. now if we are facing this problem this could be a punishment for our some sin of which we are un aware so if we will do sabar inshallah we will be free from it. since last three months alhamdulilah we have been praying salat tauba and have become punctual in our fajar salat. i request you all to pray for us that Allah accepts our tauba and get us free from this difficulty.That was the thing that could be done from our side now every thing is left on Allah . I thank to “Alalh” always becuase he made me as a Muslim. And whaterver we facing in the life Allah has given to solution for everything it may be minor problem or major problem. The said article is so benefitial for all human being and daily everybody facing so many problems, even all mankind giveup us but Allah never avoid us sure, becuase he is the one creater of us. I thank the Author, Jazak Allah. Thank you Allah for all your blessing over me shower your mercy on me my children and grand children, show them the path of Islam and give them imam. Ameen. Jazakallah. A very impressive article….the advice given can be implemented in our daily lives and put to practical use. Shukran jazillah, for real the message has revived my self estime since anxiety and worries of this life were eating me. I submit myself to Allah completely. Subhanallah!! Thanks for the info about tawakkul. May allah(SWT) give us the ability to place our trust in him. It’s easy to say but hard to do. You seriously have to just except that it’s not entirely in your hands but in Allah’s. Thank you so much for giving me a different perspective for how you should just leave it to Allah (and no not just siting at home expecting that your payments are going to be paid). And yes, Allah is the most beneficent the most merciful (He would more likely help you in desperate times, such as the payments). So be strong in you faith and don’t forget that every human being has a perpose in this world (that would be a positive yet meaningful one). May Allah grant us jannah and forgive our sins. I am very grateful to you for sending me such a precious and important Islamic articles which polish my faith and grant me strength. Refreshing troubled minds and retracing steps towards the reliever of anxiety and depression.MAY ALLAH INCREASE OUR TAWAKKUL AMEEN. Thank you for posting such an article on your website which I only joined yesterday. Believe it or not, just a few moments ago, I was sitting on my couch in a contemplating mood after Esha prayers and actually looking for some specific duas and supplications in times of trials. Your post could not have served its purpose any better in terms of timing alhamdullillah. Jazakallah. 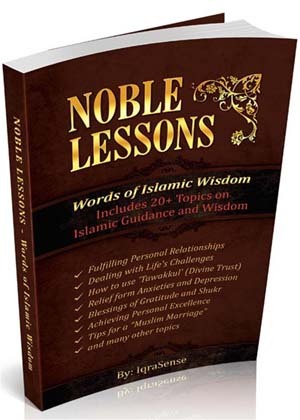 Good knowledge to gain and an eye ‘opener’. For 7 years I have been striving to understand the concept of tawwakul . Today I understand it. .
subhanallah this article came in time when im feeling so down for i have been down for a few years alhamdullilah. i have big fiath in allah (swt) and i will always tawakul ala allah. ALLAH IS TESTING US IN SO MANY WAYS TO SEE HOW WE RESPOND .ALHAMDELLALLAH. Its amazings how things show up it makes you think twice that allah (swt) never forgets you. Excellent article on Tawakkul. A good article would be on dawat and tabligh. 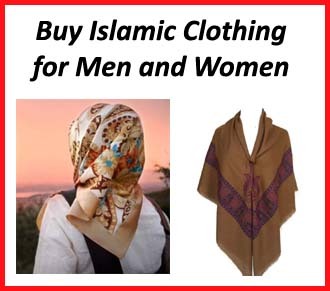 Alhamdulillah I found this site. Thank you so much for inspiring not just me but those people who had read this article of yours about Tawakkul. I’m feeling so down and I’m facing many difficulties in my life now and seriously, I just really don’t know what to do. But Alhamdulillah I read about this article of yours and it gave me hope and I started to think that everything will be okay as long as we put our trust in Allah (S.W.T) We must also accept everything that comes our way and we should be thankful and say Alhamdulillah for every challenge or difficulty or test that we have in our lives now because it’s one way for us to be close and for us to have a good and a better relationship with Allah (S.W.T) We must also remember that Allah (S.W.T) tests the one he love. So smile my brothers and sisters in Islam because there’s no need for us to be sad. Nothing in this world is permanent so let’s put in our minds that the anxieties and worries that we feel now will not last forever. Let’s just pray to Allah (S.W.T) and Insha’Allah Allah (S.W.T) will grant us what’s good in this world and will give us Sabr and will forgive all our sins and Insha’Allah Allah (S.W.T) will grant us (all of the Muslim Ummah) Jannah. Ya Allah (S.W.T) help all of us and Alhamdulillah for everything. We love you so much. As Salaamu Alaikum Wa Rahmatullahi Wa Barakatuhu! Al-Hamdulillah! The timing was perfect on receipt of this brilliant article–beautifully and aptly put. MASHAaLLAH.. A very educative article. I just wonder how can somebody control his emotios, enxiety and worries without Tawakkul? It is indeed a basic component of our EEMAN. Thanks for letting us know about tawakkul. May Allah bless you for this powerful reminder and may He make us strong in the trials of this would. I am 39 years and depressed for all most half of of my life time. I believed in Allah and will always do. Please brothers and sisters I am asking you to pray for me so that I could fell happy again after a long time. 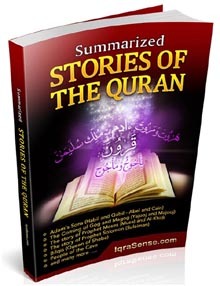 Absolutely informative, especially when you are really grieved with sorrows. MA’SHALLAH. This indeed is a very nice article. Tawakkul , no doubt, is a major prerequisite for a vibrant unshakable eeman.May Allah make it possible for us to rely only on Him and nothing else. May Allah bless all of you. Selam alaykum, jazakallah khair for this wonderful article. May Allah reward you for spreadig the knowledge of our deen. I have read this in the time where I am being tested .May Allah help us all to put more our trust in Him and give us sabr. JazakAllah khairan. Quite concise illustration of essence of iimaan. Tawakkul is it. May He give us enough patience for His decrees to manifest. Thanks for a very informative article. As a new Muslim since 2013, and being an English speaker, I found that this opened my awareness. The article makes it clear what Tawakul and so help us as well as others. Understanding is a good deed that helps oneself and others. Allah’s mercy is everywhere! We need to increase our awareness of this by striving to be close to Allah. This is a beautiful article. I thank Allah (SWT) for His Mercy & Divine Guidance and for continuously nurturing my faith & to expand my breast for Islam with articles like this. Alhumdillah! Assalamu alaykum. Thank you. may Allah grant us understanding and make it easy for us all. All praise be to the most High, the Powerful, the First, the Last, the Alfa and Omega. May He increase me and family in faith (Imman) and may He not turn down our reliance (tawakkul). 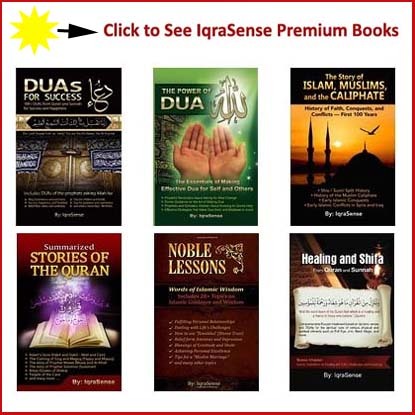 Special thanks to the Authors who are working in the cause of Almighty Allah, may Allah give them Alijanah Firdaus. Alhamdulillah for the article.